Betting on the National Basketball Association can be both fun and profitable, in this article Sport Betting Online will go over the basics of NBA betting, the state of the league, and some advanced ideas on what to look for this year in the NBA. With the shortened season and a large number of games each night, offence is down and teams are overloaded with injuries. This makes each night more unpredictable and even harder for bettors to find value in the oddsmakers’ lines. We’ll also take a broader look at the sport across the world as it continues to grow in popularity. Our NBA experts have their finger on the pulse of the sport and will bring you regular betting tips on the big games, stats and strategies to help you make the most of your money, and inside information from each conference on the way to the NBA Championship. We'll also earmark the best NBA betting bonuses and the bookmakers with the best odds for every game. For each NBA game, there is a standard point spread, with an underdog and a favourite. If you wanted to take the Los Angeles Lakers -5 against the Golden State Warriors, the Lakers would have to win by 5 points or more for you to win your bet. If the Lakers win but only win by one point, you will lose your bet. If the Lakers win by exactly 5, the bet is a “push” and your bet is refunded. Bookmakers that cover NBA betting also offer totals, which is an over/under of combined points of both teams. If you wanted to take the over 203.5 in a Phoenix Suns at New York Knicks matchup, both teams combined will need to score 204 points or more, for you to win your bet. Lastly, like most other sports, NBA betting offers moneylines. these are bets with no point spread, instead, odds are given for each side to win outright. The NBA also offers parlays and teasers, along with future bets. Another popular and profitable niche in NBA betting is player proposition bets. 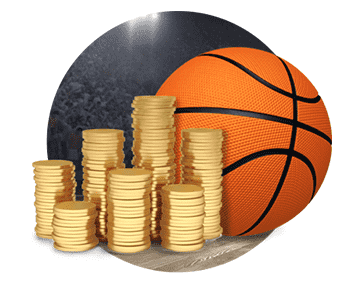 NBA player props allow bettors to bet on an individual player’s statistics, such as points scored, rebounds, or assists. We’ll dive deeper into prop bets and give strategies for all types of NBA betting in this article. This is effectively the same bet as total betting listed above but NBA bookmakers offer different lines so that punters have a choice of larger odds. If you think there will be a high-scoring game, for example, you might find very juicy odds on over 200 points. The double result gives you the chance to select which team will be winning at halftime and at fulltime. This is a good way to boost the odds of a selection but it does come with greater risk attached. For the bet to win, you have to correctly predict the result of both halves of the match. As stated, this is a bet on the winning margin of your selected team. Your chosen side must win for the bet to land and you generally have options to back a winning margin of 1-2 points, 3-6 points, 7-9 points, and so on, up to 21+ points. There are some huge odds in this market, but clearly, the risks of losing are far higher. After those extra markets, bookies also offer other exotic NBA betting markets such as the alternative points spread, the race to 20 points, the team with the highest-scoring quarter, and odd or even points totals. In addition, most NBA betting sites offer futures, or long-term, markets whereby you can back a team to win the league, or championship outright. The NBA season has been different this year for fans and bettors. Scoring is down and back-to-back games and a tight schedule has fatigued many teams across the league. Tired legs have led to short jumpers and sloppy basketball. Oddsmakers have already adjusted totals to the decrease in offence, rendering the edge to bettors much smaller. Also, due to the number of games each day, bettors have a long list of games to cap, making it even harder to find value. Here are some aspects to consider when capping your NBA matchups. This is probably the most important thing to keep an eye on. Injuries, especially to key players, are factored heavily into the line. When injury news breaks, certain games will have reduced limits or may be pulled off the board completely. In some cases, teams will play better in spite of an injury to a star player. Other times, an injury can be devastating to a team’s chemistry. There are so many “game-time decisions” for players, that it’s especially hard to gauge if a player is going to give it a go or sit this one out. It is important to figure out how an injury will affect a team’s play. As I mentioned fatigue is a huge factor, it is important to be aware of a team’s schedule and how they’ve played coming off back-to-back games. In this season most teams will go through periods of playing three games in three nights, this especially affects older squads. Coaches may give players a rest or slow the tempo down to give their teams a chance to catch their breath. Some teams may feed off their home crowd especially well and have a great record at home. However, on the road, they struggle. It also should be noted that generally, bench players are most affected when you compare home and road splits. Educate yourself before making a play on how your team reacts to the arena they are playing in. Also, look for situations when a team may be due for a “let down” game after a big win. Occasionally, NBA teams will lose focus at certain points during a long season and bettors will need to capitalize on this. Another factor to consider is matchups. If a team is very weak at centre or a backup is starting and they are facing a great rebounding team and/or a great frontcourt, you may want to consider a play. Although this is factored into the line, by knowing the lineups and players, you can help determine how well the oddsmakers are valuing the injury. If you spot a matchup where you see a clear advantage, you may want to look more closely at that game. Some bettors don’t really like to bet/follow trends, I’m very wary of capping solely based on trends because that will surely lose you some money in the long haul. Trends, though, are still viable to use when capping NBA games, but they must not be the only factor. I’m all for betting on a team which isn’t getting the respect of the oddsmakers and has covered the last five games against the spread, but sports bettors have to cap based on a variety of factors. So beware of overvaluing a trend. This is often the case with totals; a trend might tell you Golden State and Phoenix have gone over the total the last five times the two teams have played. I’m fine for using this as a reason to lean towards the over but you need to look at the full picture. Trends can go back as far a season ago and they aren’t useful if the teams have vastly changed players or coaches. Props can be very profitable for some NBA Bettors. Often times, prop lines will differ from bookmaker to bookmaker, offering value to those who can spot a weakness in a line. Finding the best price with a prop bet you feel has an edge can be a very solid bet. Historically some players have shot extremely well in certain Arenas or against certain teams. For instance, Kobe Bryant used to have a vendetta against the Phoenix Suns and seems to torch them for 30 points every time they face each other. Again, this is an example of a trend, so take it for what it is worth. March Madness is a tournament series that consists of a 68-team bracket playing for the chance to advance to the final four (the best 4 teams from each region). Of the 68 teams, 31 get automatic bids into March Madness based on conference championship games in their respective leagues. The rest of the teams are selected through the NCAA selection committee based on track record, standing, and several other factors. March Madness was founded in 1992 and is the biggest College Basketball event in the country with millions of fans throughout the continental United States. The Final Four tournament is essentially the culmination of March Madness whereby the best four teams compete to become champion of the series. 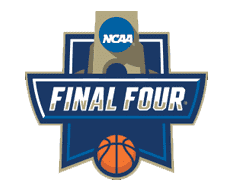 The Final Four is one played over a weekend ending on a Monday each year and is one of the most watched games broadcasted in the United States. 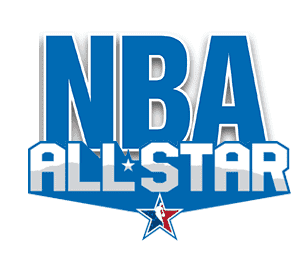 The NBA All-Star Game, as the name suggests, brings together the best talent from both the Eastern Conference and Western Conference teams in the NBA. Players are selected to play in the game through fan ballot voting and reserve players are chosen by a group of coaches. Founded in 1951, the All-Star Game is a one-game match that is extremely popular with fans and showcases some of the best players from within the league. Another cool feature about the All-Star game is the fact that players are usually out of position since starting spots are based on votes cast by the fans to determine position. This is the culmination of the regular season in the NBA and features qualifying, quarter-final and semi-final rounds before the championship series. All of the series are played in best-of-7 formats with the final two teams competing for the Championship trophy at the end of each season. The NBA Championship was started in 1947 & is the oldest tournament in the National Basketball League. Here at SportsBettingOnline, we like to offer our readers free NBA picks from our resident basketball experts. Feel free to join in and have a flutter! The next most popular league in the world is the Philippine Basketball Association (PBA). It’s the second-longest running basketball league after the NBA and was established in 1975. The history of the sport in the Philippines dates back much further than that after it was introduced (along with baseball) by American teachers through the YMCA and school system. Also known as the Turkish Airline EuroLeague for sponsorship reasons, the EuroLeague was inaugurated in the year 2000. It is a European-wide professional basketball league for top-tier club sides throughout the continent. Real Madrid is the most successful side in the history of the competition, with nine titles to their name. The BCL is an annual basketball club competition organized by the International Basketball Federation (FIBA) for club sides which excel in their national leagues. However, the tournament has been the source of controversy as FIBA and EuroLeague basketball wrestle for control of top-level European competitions. The Basketball World Cup is considered the pinnacle of international basketball, alongside the Olympics. It has been running, in one format or another, since 1950 and is the flagship event of FIBA. The most recent winner of the World Cup is the USA, which is also the most successful nation with five titles to its name. The tournament is held once every four years. Also known as the European Basketball Championship, it is held every two years for national sides in Europe. Slovenia won its first title in 2017, but historically, the competition was dominated by the former Soviet Union which won the crown 14 times. NBA betting can be a challenge to master. As always, be sure to use our top NBA betting sites to get the best price for your bet, whether that be a prop, side, or total, it is imperative to get the best line available. When capping games, use all the information available and follow the NBA closely. Such is the popularity of basketball, there are matches being played on a daily basis throughout the world. Betting on basketball is big business and that puts us punters in a good position as bookies compete for our bets. Most NBA bookmakers offer sign-up bonuses or welcome promotions for new customers and these are always worth taking advantage of to bag yourself a free bet. Another thing to look out for when betting on basketball is the bookies with the biggest range of markets. Take a look through our strategy section to find tips and advice on maximizing your profits and minimizing your losses. If you love NBA betting it is almost certainly because you enjoy watching the game. You can use this to your advantage to beat the bookies. If you are up to speed on the teams and players that are in form, or any other factors that might affect a result, you should have an edge over the bookmaker and can often find generous odds if the layers aren’t paying attention. Finally, be sure to stick to a disciplined betting bank and enjoy betting on basketball! Where Can I Bet on the NBA? Almost all bookmakers now take bets on the NBA, so it's easy to get a bet down. Check out our top betting sites above to find the best odds and some great bonuses too! How Do You Bet the Money Line in Basketball? NBA bettors have plenty of different bets to choose from, including spreads and totals which make up the bulk of basketball betting markets. Alternatively, the money line is a simple bet on which team will win the game without a points spread. How Do You Bet the Over/Under in Basketball? Over/Under (O/U) bets are very popular among NBA bettors. The bookmakers set a statistical prediction (such as the number of points both teams will score combined), and you bet on whether the total points will be over or under that amount. 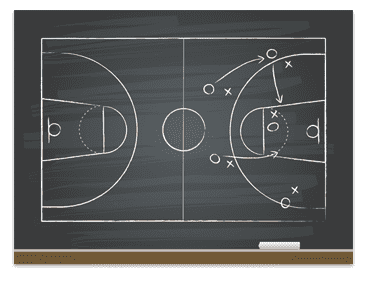 What is the Spread in Basketball? When you bet on the spread, you are betting on one team to win the game and cover a points margin set by the bookmaker. The spread is designed to make the odds more competitive as your team must win (or not lose) by a certain number of points.